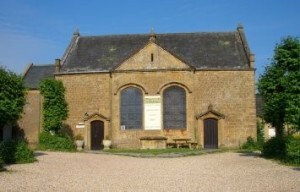 Ilminster is fortunate in having an excellent Arts Centre situated within an historic Meeting House. The Gallery is open all year round with a stunning programme of frequently changing exhibitions, ranging from the very highest quality international artists to celebrations of local school children’s work. The Arts Centre also has a great Craft Gallery where you can buy hand-made gifts from local craft-makers. And look out for their music programme too! Its excellent performance space has a superb acoustic for small groups, ranging from classical to jazz and folk. Art and Craft Exhibition: The Creative Collection. A diverse group of makers, each pursuing their own individual passions to create unique, high quality pieces. Beautiful work in a variety of mediums – ceramics, textiles, jewellery, glass, embroidery, paintings, stencils and more! Andrew Eddleston, Jo Moorshead, Kate Wescott, Jo Eddleston, Shuya Cheng, Karen George, Lila Streether, Martin Rummery, Lise McDermott. Plus a series of workshops, led by members of the Creative Collective, accompanies the exhibition. For details please see workshop pages on www.themeetinghouse.org.uk. Last but not least, enjoy a feast for the eyes and for the taste-buds in their terrific café that serves delicious cakes and light lunches.